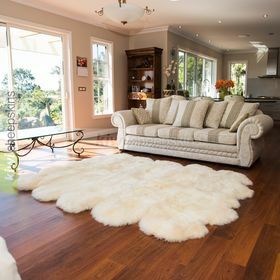 There's something very special about a real sheepskin rug that just draws you to it. 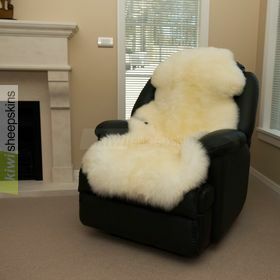 Try to resist running your fingers or toes through the genuine lambskin's silky soft wool fibers. Relax on a genuine sheepskin, there's nothing quite like it! Experience the unequalled silky softness of a long wool sheepskin. 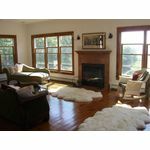 Two long wool Quarto rugs adding a warm touch to a customer's farmhouse. These beautiful sheepskin rugs are tanned for us in New Zealand by Classic Sheepskins. Zealamb is tanned by GL Bowron. 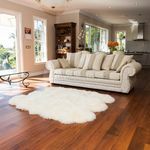 Babies love sheepskin too - if you're looking for a lambskin suitable for infant care use, see our Sheepskins for Baby page. Sheepskins are so versatile, in addition to our two comprehensive floor rug categories and baby sheepskins, we offer specially tanned medical rugs both as natural pelt shaped underlays and rectangle shaped sheepskin mattress pad bedding. See sheep skin rug feedback for customer reviews specific to this and the designer rug product categories. 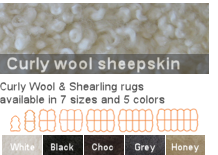 With our rug range now offering so many options, the selection can be overwhelming. 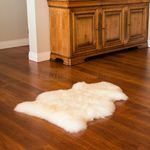 So here's a summary of each type, scroll down for actual product entries. 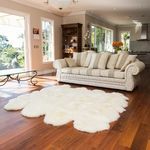 Early season New Zealand lambskins offering the same beautifully soft long wool as our larger sheepskin rugs, just in a slightly smaller size. Excellent value. Premium grade long wool New Zealand sheepskins. 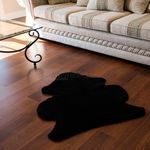 Available in 8 natural pelt sizes from XL Single to the huge 12-pelt rug. 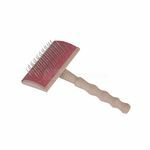 Available to order in 7 colors. 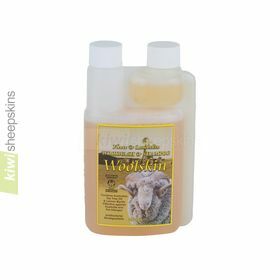 Specially selected breeds of New Zealand sheep with a naturally curly wool. 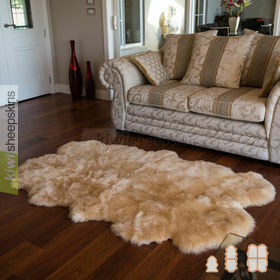 The pelts are shorn to a short wool length to reveal a stunning and unique look. 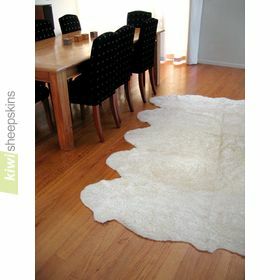 New Zealand sheepskins whose wool has been shorn to a uniform length of around 20mm (3/4 in.) 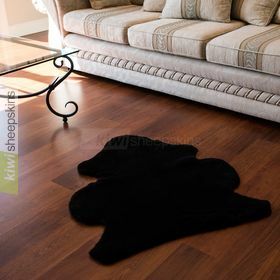 giving a contemporary and distinctive look. Similar to above curly sheepskins but made from smaller lambskins with their wool clipped very short. Much smaller choice of sizes and colors. Our long wool, curly wool and short wool sheepskin types above are also available as rectangle shaped rugs. 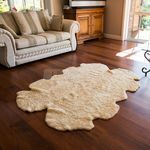 These range from 4 pelts up to a massive 16 pelt rug and can be found on our Designer Sheepskin Rugs page. 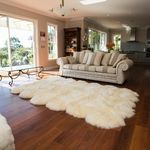 Naturally curly wool sheepskin rugs made from specially chosen breeds of New Zealand sheep. 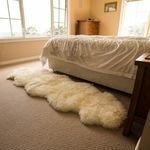 Available in 7 natural pelt shaped sizes.